April 7, 2016 by Vinay Leo R.
When you read a book and find a character that is fun-loving, jovial, mischievous, and rebellious and yet, at the same time, loving, respectful, passionate, dedicated, helpful and emotional, the character no doubt remains in your mind for a long time. As you read, you pray for that character to get a happy ending that he deserves, and when you read the opposite, you can’t help but feel a lump in your throat. For me, Fred Weasley was one such character in the world of the Harry Potter books. Fred is the fourth son of Arthur and Molly Weasley, and like the family he has flaming red hair, is tall and gangly. He’s the twin brother of George Weasley. Both twins are part of the Gryffindor Quidditch Team. The first time I read about him is in the first book, when the fun exchange of words takes place between Mollly and the twins. That was one of the scenes I that made me smile wide, and it showed the mischievous side that Rowling developed further in the series. There’s no doubt that Fred is fun-loving, with him frequenting Zonko’s often with George in the series too. When Fred tells Peeves to give Umbridge hell, the poltergeist accepts the responsibility. It was perhaps the only time I’ve read Peeves being respectful of someone. Fred is fiercely loyal to his friends. Though his school year isn’t focused on in any books, after he befriends Harry, that aspect is something I read when Zacharias Smith riles Harry and he, George and Ron rise up Harry’s defense. Later, the twins also refuse to take money from Harry when he buys something from their joke shop. The jovial character is seen multiple times over the book where their dialogues break a serious moment or add to the fun; like when they pull Oliver Wood’s leg when they tell Oliver’s speech is memorized. He respects Oliver, that is seen too, and it is out of respect to Albus Dumbledore that they stay on when Dumbledore leaves Hogwarts in Order of the Phoenix. The rebellious nature of Fred’s character is best illustrated in two places. The first of the two is when George and he decide to use an aging potion to cross an age-line that the headmaster Dumbledore has drawn to stop them from crossing it. They don’t bother about the rules and want to have their way. It results in one of the more memorable scenes in the book as well as the movie. The second instance is when, out of respect to Dumbledore, they rebel against the rules set by Dolores Umbridge and wreaks havoc at Hogwarts, before flying away from the school. He’s also one of the first to sign the sheet for becoming a part of the DA. Fred’s passion and dedication are seen throughout the fourth, fifth and sixth books, when from being fans of the joke shop Zonko’s, he and George start creating trick toffees and wands etc. They pursue it even though their mother is against it, and continue their efforts when Harry funds them with the money he wins from the Triwizard tournament. 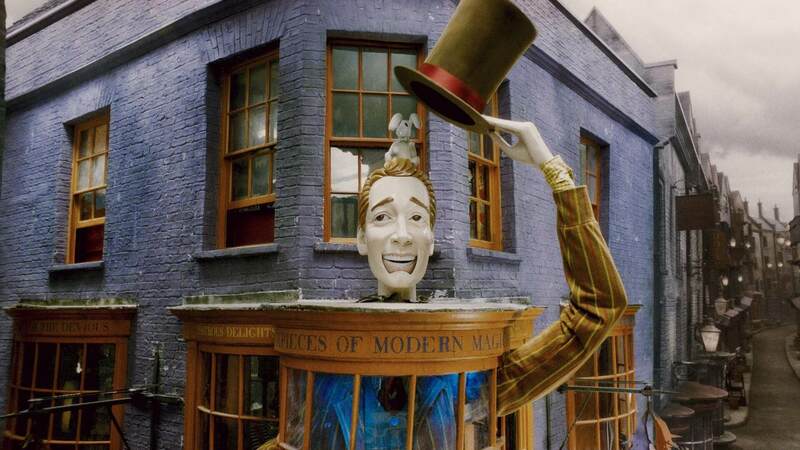 The efforts succeed and they find premises for Weasley’s Wizard Wheezes in Diagon Alley. Even Molly Weasley later admits they have a flair for business. It might be difficult to imagine such a prankster also being emotional, but when it comes to family, Fred is. When Percy Weasley, one of his elder brothers offends his parents and walks out, he shows his anger, and how closely protective he is of his mother. When George loses an ear to a curse in the final book, Fred does get emotional and very worried for his twin brother. It’s only when George begins to joke that he calms down a little. In the Battle of Hogwarts, many characters are lost. Some move me deeply as a reader and a Potterhead. Fred’s is one such character, for from that, I took away that life is not about getting top grades or being the best in school, it’s about being the best ‘you’ you can be. Looking back at the series, there are some memories that are not very fond. This loss is one such. Fred is one of my favourite characters in hp . You have done justice to it ….. This caused a lump in my throat. I expected you to write about Weasley’s wizard wheezes though. ? Not likely, Dhivya. The character of the twins are similar, so it’d be mostly an exercise in repetition if I were to write on George. I never got down to read HP though I am such a voracious reader. But after reading this character sketch of one of the HPs I am feeling tempted to try it out. Very well expressed, loved reading. I hope you read it. 🙂 I do not feel that there’s an age bar for Harry Potter. Glad you loved reading my post, Bhaskar. Ah. 🙂 Hope you have fun, BellyBytes. Thank you. True…a lump in my throat! One of my fav characters. Loved him from the book though! The movie didn’t give much justice ! Fred’s death scene is so horrifying. One moment he’s joking with Percy, and the next moment he’s gone. Nice choice for today. I had done Fawkes. Glad you liked the post. 😀 Thank you. That’s a fab analysis of Fred Weasley’s character. Love his fun and funny side! What a riot Fred and George were! And what tricks they got up…really creative puking pastilles and I forget that powder they flick to create darkness that was misused by the Death-Eaters. An adorable prankster duo! One almost always waited to read about them. Remember feeling holey?! Yes this is one loss that will be missed most in the Magic world. Yeah. Who could forget the ‘holey’ feeling? 🙂 It was what brought Fred to calmness in that scene. A loss that will be missed, yes. I agree with you, Kala. Having never read or watched Harry Potter I feel I should be following you to find out what I’ve been missing! Reading the books would be a better way, I think, Keith. 🙂 But most welcome to get an idea of that world through my posts. Sigh, another reason why I should read Harry Potter. Yes, Sreedeep, absolutely. 🙂 Give it a try. If you like it, you like it. If not, at least you tried. 😀 Without reading, you can’t know if you’re a fan. Thanks for making me remember Fred. When watching the Films I waited desperately for all the great scenes with the Weasley twins – and I was sad about everyone which was left out. Fred is an unforgettable character for me. 🙂 Glad I could help rekindle your memories. Thank you, Claudia. I thought his death was senseless and unnecessary. He didn’t have to die. His death, though horrific – doesn’t justify anything. I knew you would be writing Fred ever since you declared the theme! Yes, it was a loss that we will always feel. To me Fred and George are inseperable. I think I cried the most at Fred’s death. The twins are the best part about Harry’s Story.